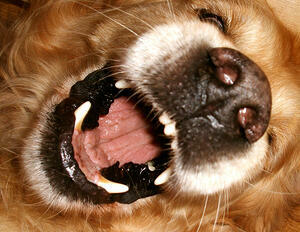 More than 60 million homes in the United Sates have at least one dog. For most of us, this dog (or dogs) is a part of the family. Almost 90 million dogs are owned as pets in the United States according to a 2017-2018 survey by the American Pet Products Association. So, we found that dog bites are an issue in Texas so we decided to post some tips on preventing dog bites. Texas is third on the list of states with the most instances of claims for dog bite injuries behind California and Florida. Last year 922 claims were filed in Texas with an average cost per claim of $35,257.00. Homeowners and renters insurance policies typically cover dog bite liability legal expenses, up to the liability limits (typically $100,000 to $300,000). If the claim exceeds the limit, the dog owner is responsible for all damages above that amount. According to the Centers for Disease Control and Prevention, about 4.5 million people are bitten by dogs each year. Among children, the rate of dog-bite–related injuries is highest for those 5 to 9 years old. Over half of dog-bite injuries occur at home with dogs that are familiar to us. Always ask if it is okay to pet someone else’s dog before reaching out to pet the dog. When approached by an unfamiliar dog, remain motionless (“be still like a tree”). If a dog knocks you over, curl into a ball with your head tucked and your hands over your ears and neck. Immediately let an adult know about any stray dogs or dogs that are behaving strangely. Stop! Stay still and be calm. Do not panic or make loud noises. Say “No” or “Go Home” in a firm, deep voice. Stand with the side of your body facing the dog. Facing a dog directly can appear aggressive to the dog. Instead, keep your body turned partially or completely to the side. Slowly raise your hands to your neck, with your elbows in. Wait for the dog to pass or slowly back away. Thank you for your interest in our blog. When you have questions about your insurance, we’re here with answers. Dean& Draper is a Trusted Choice insurance agency representing over 200 insurance companies. For over 35 years we have offered a trusted freedom of choice to our clients. ContactUs. The recommendation(s), advice and contents of this material are provided for informational purposes only and do not purport to address every possible legal obligation, hazard, code violation, loss potential or exception to good practice. Dean & Draper Insurance Agency specifically disclaims any warranty or representation that acceptance of any recommendations or advice contained herein will make any premises, property or operation safe or in compliance with any law or regulation. Under no circumstances should this material or your acceptance of any recommendations or advice contained herein be construed as establishing the existence or availability of any insurance coverage with Dean & Draper Insurance Agency. By providing this information to you, Dean & Draper Insurance Agency does not assume (and specifically disclaims) any duty, undertaking or responsibility to you. The decision to accept or implement any recommendation(s) or advice contained in this material must be made by you. ©2019 Dean & Draper Insurance Agency All Rights Reserved. Sign up for job posting updates!